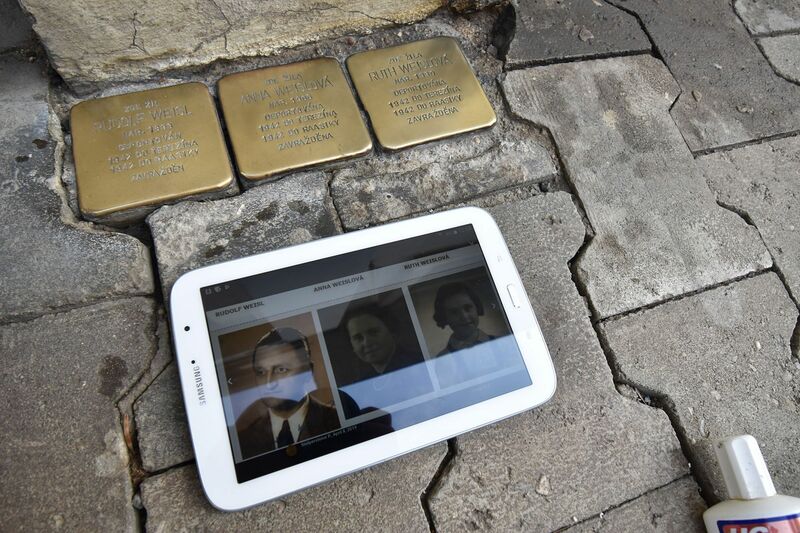 Around Prague there are hundreds of stones inlaid in the pavement honouring the victims of the Holocaust. They are known as Stolpersteine, which literally translates as “stumbling stones”, while Czechs refer to them as “the stones of the disappeared”. Sometimes grimy and easy to miss, these stones have been receiving fresh attention thanks to Trevor Sage, who decided last year to go around the city and clean them all. 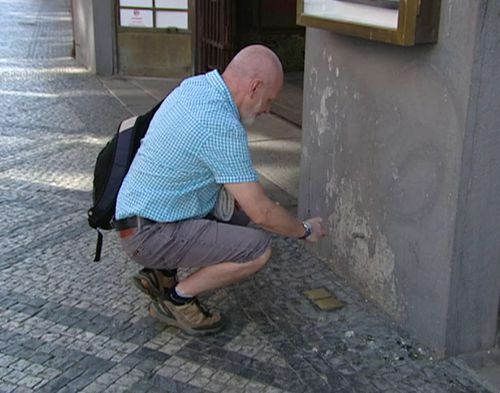 Since then the retired Briton, who has been living here for over a decade, has created interactive maps and built up the Solpersteine Prague group on Facebook. Trevor Sage, photo: Ondřej Tomšů You have no personal connection to the Holocaust. How did you first become interested in the subject? 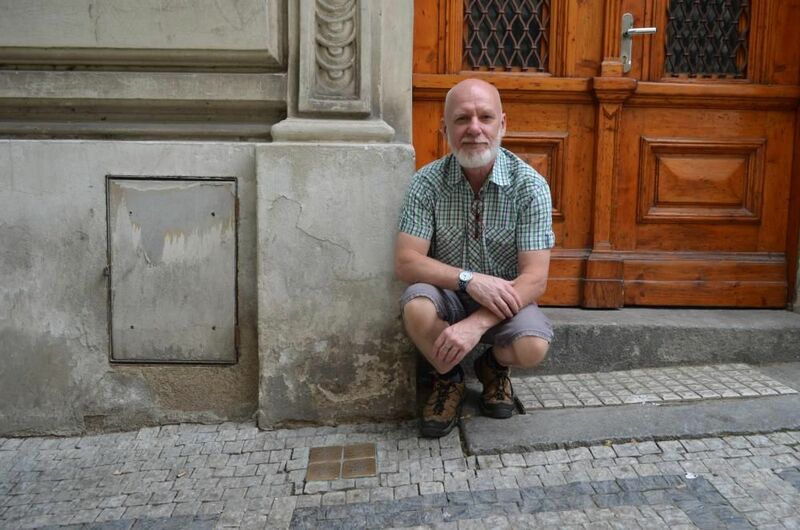 “When I first came to Prague, I went on a tour of Terezín. I was given a tour by a survivor, Pavel Stránský. “I found that really moving, to get a first-hand account of what it was like to be in such a terrible place. “Before I came to Prague, my knowledge really was pretty much what I’d seen on the big screen and the odd documentary. “They’re known as the ‘the stones of the disappeared’ and with them getting grimy, it was just like they were disappearing for a second time. 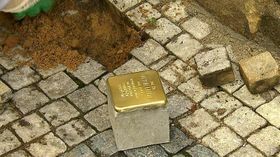 When did you come across the stones, the Stolpersteine? “When I was on a tour of Prague with a friend they were pointed out to me. “It seemed a shame to me… they’re known as the ‘the stones of the disappeared’ and with them getting grimy, it was just like they were disappearing for a second time. “And I thought it would be lovely to see them shiny and restored again. How did you get the confidence, so to speak, to do something about it? 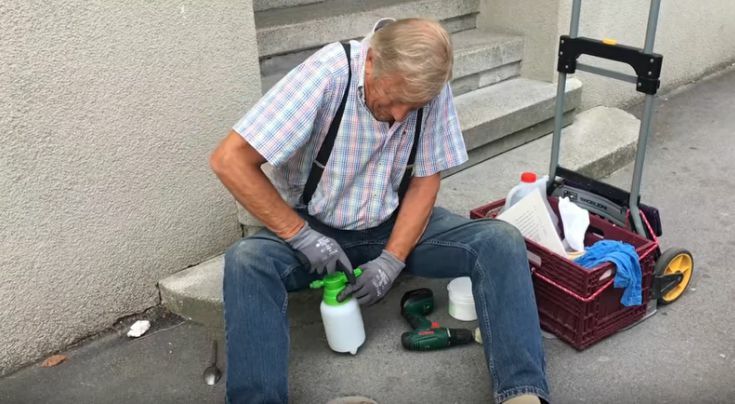 “On Facebook last July I saw a post that was about a gentleman in Salzburg, Gerhard Geier, and he cleaned all 388 in his city. For people who haven’t seen the stones, what exactly are they? What information do they convey? 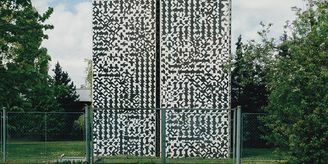 Photo: Ondřej Tomšů “They are concrete blocks, about 10 by 10 by 10 centimetres, and on top of them is mounted a brass plaque. 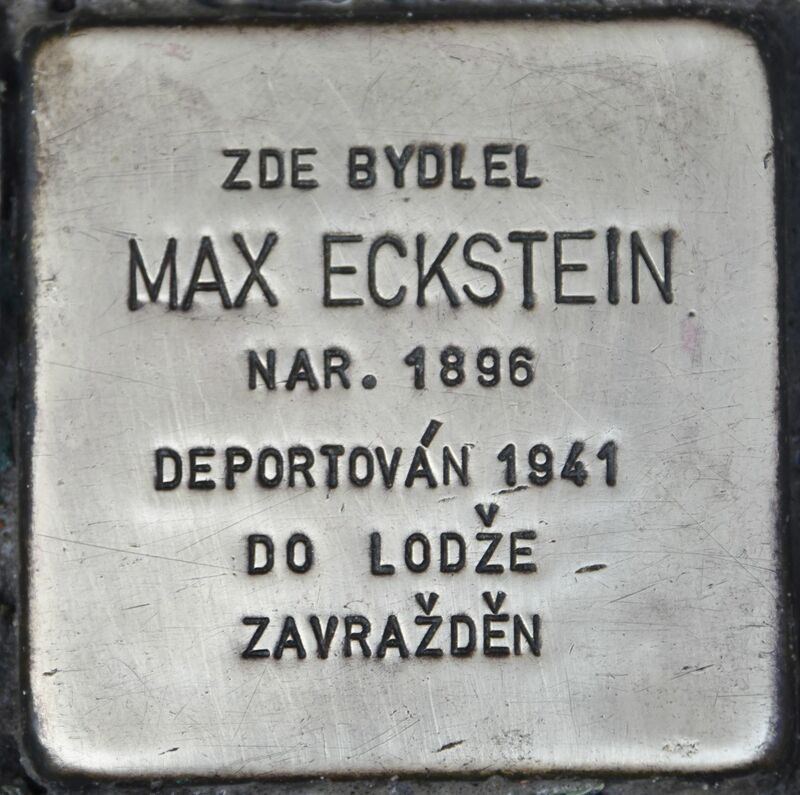 “On that plaque it says, Here lived… and then the year of birth and then the year and destination of deportation. And finally the fate. “The fate is more often than not murdered. It’s deemed that they were murdered, irrespective of their cause of death. And this began as a German art project? 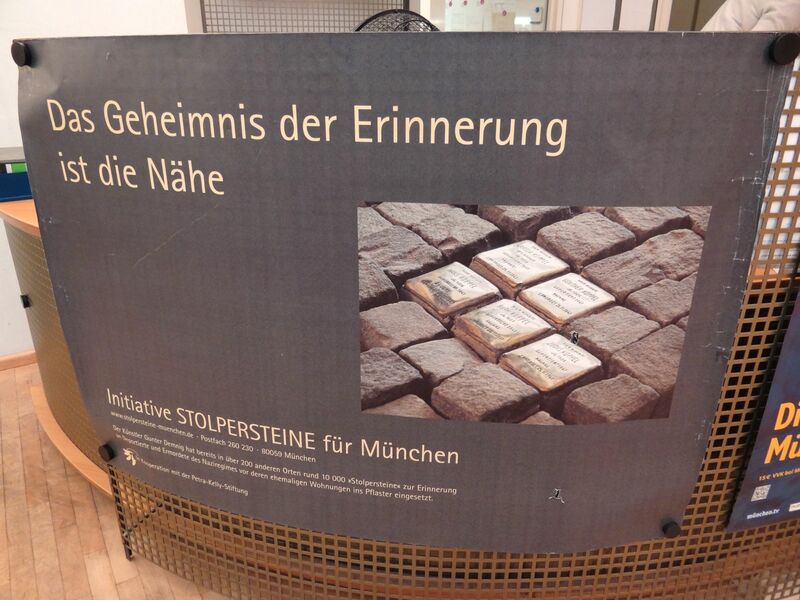 “Yes, it was with Gunter Demnig, in 1992, I think it was, that the concept of Stolpersteine came into being. “I packed up my bag with a towel for kneeling on, a rubber glove, a scourer sponge and some brass polish. Tell us about when you began cleaning them – how did you go about it? Where did you start? “My first stones were in the Jewish quarter. I set about doing those ones first. When you began how long had they been down? What kind of state were they generally in? “The first stone that was laid was in the Jewish quarter. 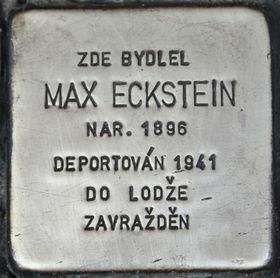 “That was laid to Max Eckstein in 2008.
Who are the people who are commemorated? There are 300 and something of these stones in Prague. Obviously there were far more people from the city who were killed during the Holocaust. “Yes, there were many victims. 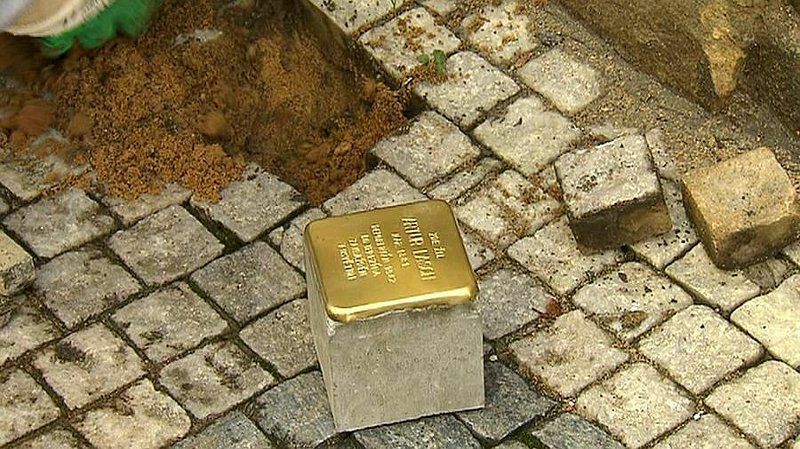 “The Stolpersteine project is to lay stones for anyone who was persecuted by National Socialism, between the years of 1933 and 1945. But how are the ones who have been honoured been chosen among all the victims, do you know? Do you ever think about trying to raise money for stones for the other victims, whose families maybe aren’t around to mark them? “There are a couple where there’s a stone for a father but for the mother and daughter there’s no stone. “I have thought about trying to sponsor it even myself or trying to raise some money for it. “The problem is that you really need to try and find out whether there are any relatives. “Because the relatives are the ones who have the final say as to whether there should be a stone or not. “Some relatives would rather there weren’t. Stolpersteine in Munich, photo: Adam Jones, Wikimedia Commons, CC BY-SA 3.0 Why would people not want to have a stone commemorating their deceased relative? “In Munich they feel that it’s disrespectful to have the stone set in the pavement. When you began doing it, how did people respond to what you were doing? “First of all I didn’t get much response from anyone, until I’d cleaned around 70 of them. “A lady named Jitka Hejtmanová stopped and started talking to me and started asking about the project. Photo: Eva Mošpanová, Czech Radio “She asked whether she could take my photograph and whether she could publish it on Facebook. “I didn’t have a problem with that at all, so I said yes. “She posted it on Facebook and then very quickly it amassed more than 1,000 likes and 800 shares. 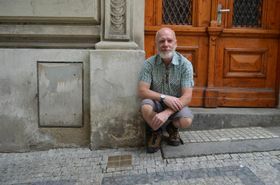 “There was so much interest shown in the project that I decided that for everyone to keep tabs on what I was doing, and to let everyone know, I’d just start a Facebook page: Stolpersteine Prague. Trevor Sage, photo: Eva Mošpanová, Czech Radio So now do people recognise you? Do people stop you when you’re doing it, or speak to you? “Many people have said, You’re the Englishman who’s cleaning the stones, aren’t you? Do any of the stones stand out to you in terms of the story of the person being honoured? “The most touching ones are when they are very young. The youngest one is two years, 11 months. Petr Ginz “I feel very emotional when I see that, because I can’t help but wonder what may have become of their lives. “They may have gone on to have families. 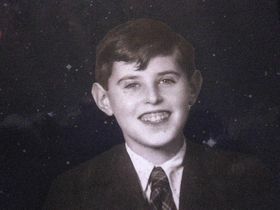 “We don’t know any history of those individuals, but there are others, like Petr Ginz – he was 14 when he was deported, without his parents as well, to Terezín. I guess he’s one of the more famous victims? 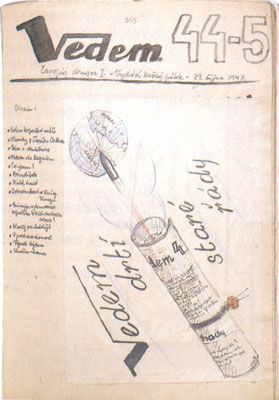 “Yes, he did more than 150 drawings in Terezín. He was quite an accomplished drawer and painter. “He actually founded an underground paper, a magazine, Vedem: We Lead. I presume there’s a very broad age range among the people who are honoured by the stones? How often do you get out and clean the stones? How many have you cleaned so far? “I’ve cleaned all 311. At the time it was 285, but in August another 24 were installed. “There are six still missing. They’ve been mislaid, I believe. “Every month I will produce a list, and post it on Facebook, of all the birthdays in that month. Photo: Eva Mošpanová, Czech Radio Tell us more about the online component of what you do. You’ve created a map of these stones that relates to the victims? 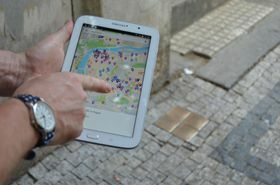 “Yes, there are two versions, both in Mapoptic and Google Maps. “In both of them all the locations around Prague are plotted on the maps and if you click on each location it’ll show you the stone and also, where possible, a photograph of the individual. Do you have any sense that people have more respect for the stones than they would have before you began cleaning them? “There are a number of people that have said to me that they weren’t even aware of the stones before. “So even just talking about them has raised their profile and people are more aware. 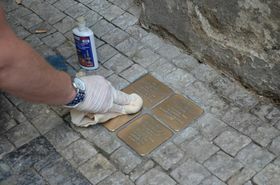 “Recently I asked for volunteers for people to help me clean the stones for Yom HaShoah [Holocaust Memorial Day] on May 2 and the response was overwhelming. Since you first took an interest the number has grown. What are the plans for the future as regards these stones in Prague? When you’re on the street, on your knees, cleaning these stones, what goes through your mind? 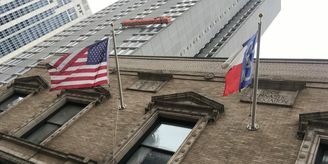 “I can’t help wondering what it was like for the individuals – what lives they must have had and how it was for them when they were actually deported and forced to leave those apartments. “The stones are laid at the last chosen place of residence for the individuals – so it was really was their home that I’m kneeling at. Trevor Sage, photo: Czech TV “I can’t help but wonder what it was like for them. It must have been under terrible circumstances, to leave everything behind. “Often they were told you can just take luggage with you of 50 kilogrammes, I think it was, and hand over your keys to your apartment. For you, what’s the value of what you do? “There’s a great deal of satisfaction for myself in raising the profile of the stones. And the victims. “People are talking about them.